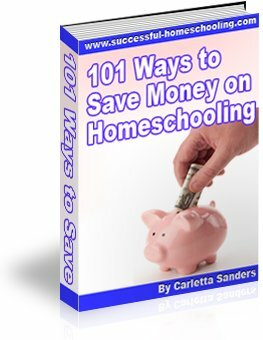 Do you want to learn more about Christian homeschooling? Are you looking for a Christian homeschool program? Here are some recommendations for Christian home school resources, along with a list of Bible verses that support home education. How to Choose a Christian Homeschool Curriculum - One of the main benefits of homeschooling is the ability to choose materials that align with our values and beliefs. Here are some tips for choosing a Christian home school curriculum, along with links to reviews of popular programs. Christian Based Homeschooling Resources - As parents, we are charged with the responsibility of teaching our children about God and the Bible. Here are some simple ways to include religious instruction in your home school, along with information about my family's favorite resources. Building a Christian Home School - As Christian homeschoolers, we must go beyond academics, and teach our children how to live their lives for Christ. This article contains information about the main goal of Christian home education, along with ideas for easy ways to incorporate Christianity into your homeschool. Have you been criticized by family, friends and even church leaders for your decision to home educate? Are you looking for biblical support for homeschooling? Are you wondering if homeschooling is a biblical mandate? Deuteronomy 6: 6-9 "These commandments that I give you today are to be upon your hearts. Impress them on your children. Talk about them when you sit at home and when you walk along the road, when you lie down and when you get up. Tie them as symbols on your hands and bind them on your foreheads. Write them on the doorframes of your houses and on your gates." As parents, we must continually teach our children God's commandments. Homeschooling gives us more time to spend on this important task. Mark 8:36 "What good is it for a man to gain the whole world, yet forfeit his soul?" A strong academic program is no substitute for a biblically sound program. By teaching our children at home, we can choose our own materials and focus on what is most important - teaching our children about God, His love for us, and what He requires of us. Luke 6:40 "A student is not above his teacher, but everyone who is fully trained will be like his teacher." Our children will be like those who teach them. Home schooling allows us to decide who will lead and instruct our children. It also means we should be ever mindful because, good or bad, our children will ultimately be a lot like us! 1 Corinthians 15:33 "Do not be misled: 'Bad company corrupts good character.'" Proverbs 13:20 "He who walks with the wise grows wise, but the companion of fools suffers harm." Children will be influenced by the attitudes and behaviors of others. By teaching our children at home, we can make sure our children spend most of their time around individuals who will model and encourage good character. Matthew 5:13 "You are the salt of the earth. But if the salt loses its saltiness, how can it be made salty again? It is no longer good for anything, except to be thrown out and trampled by men." Homeschoolers are sometimes criticized by other Christians for failure to serve as salt and light in public schools. However, we can minster to others by building relationships and meeting needs in our communities, without sending our children into an environment that may corrupt their morals. Is homeschooling a biblical mandate? While I believe the verses above make a great case for Christian homeschooling, I know many wonderful Christian families who have chosen not to home educate. We must each come to our own conclusions in light of scripture, and remain obedient to God's call to teach our children about Him, no matter where we send them to school.